than the myriad tests currently in use. 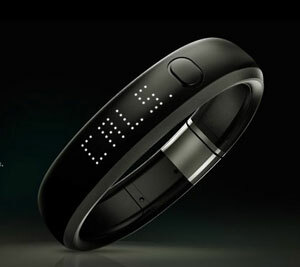 My friends can’t get enough of fitness trackers like the Nike FuelBand, Fitbit and Jawbone UP. They’re a great way to get in shape and encourage an active lifestyle. But that’s not their only benefit. According to a team of researchers at the University of Rostock in Germany and the German Center for Neurodegenerative Diseases, activity trackers appear to hold promise as a powerful tool for diagnosing Alzheimer’s disease – notably better than the tests currently in use. In a controlled scientific study, researchers placed three-axis accelerometers on the ankles of 23 Alzheimer’s patients and their live-in caretakers. The scientists measured and analyzed the movement data, discovering that fitness trackers allowed them to tell those with neurological decline from healthy adults with 91% accuracy. This research is incredibly important, as there is currently no single test that diagnoses for Alzheimer’s disease or related dementias. More data will need to be collected before activity trackers can go into regular use in medical practice, but these early results are incredibly promising. In fact, the researchers believe that, one day, diagnosing someone with Alzheimer’s may be as simple as opening an app on a smartphone. “Prospectively, it might even be possible to use the data of established devices such as mobile phones or navigation support devices," explains Rostock University Computer Science Professor Thomas Kirste.